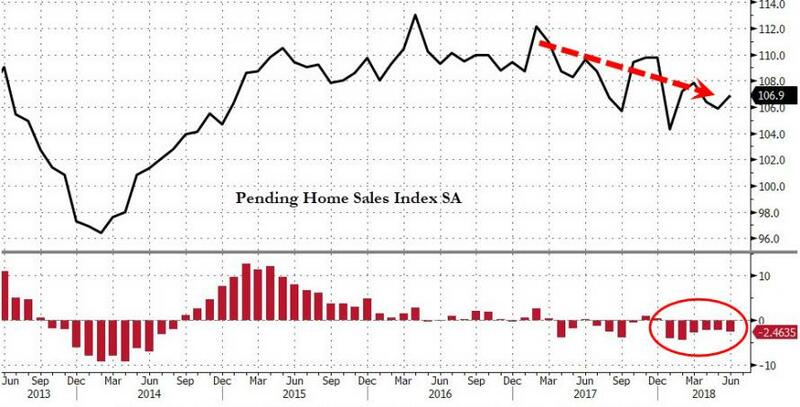 Pending Home Sales Slump For 6th Straight Month As "Affordability Constrains Would-Be Buyers"
After disappointment for new- and existing-home sales (as well as starts and permits), pending-home-sales managed to rebound from May's drop, rising a better than expected 0.9% MoM. The month-over-month gain in contract signings was broad-based with all four major U.S. regions showing gains. Meantime, Portland, Oregon, Seattle and San Jose, California, were among several cities showing big increases in new listings, according to the NAR. 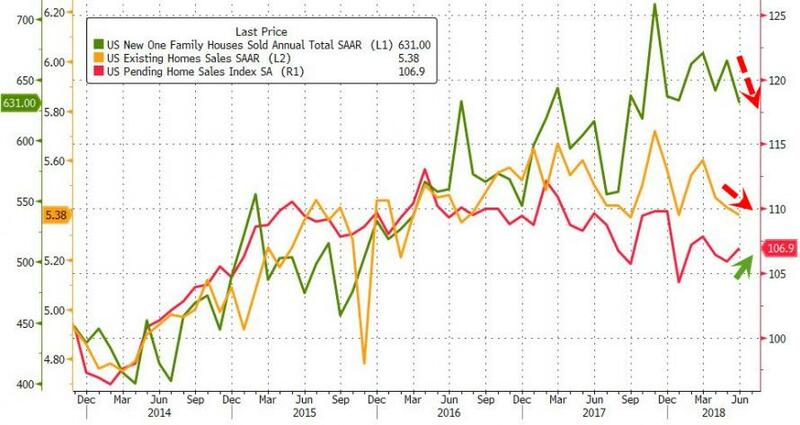 While the pickup in inventory is welcome and could help bring down prices, the group says more supply is needed to meet demand. “The positive forces of faster economic growth and steady hiring are being met by the negative forces of higher home prices and mortgage rates,” Lawrence Yun, NAR’s chief economist, said in a statement. As a reminder, economists consider pending sales a leading indicator because they track contract signings. Purchases of existing homes are tabulated when a deal closes, typically a month or two later.